Going to Disneyland is a super fun thing to do. Planning a trip to Disneyland can be just as much fun! 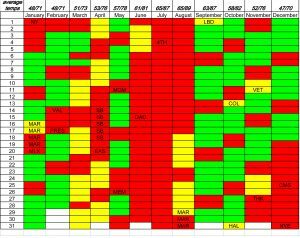 I’ve narrowed down the best and worst times to visit the parks based on personal experience, weekly park visits, online research and scheduled events. Weekdays are typically less crowded. If you have to schedule during the peak months, go during the week. 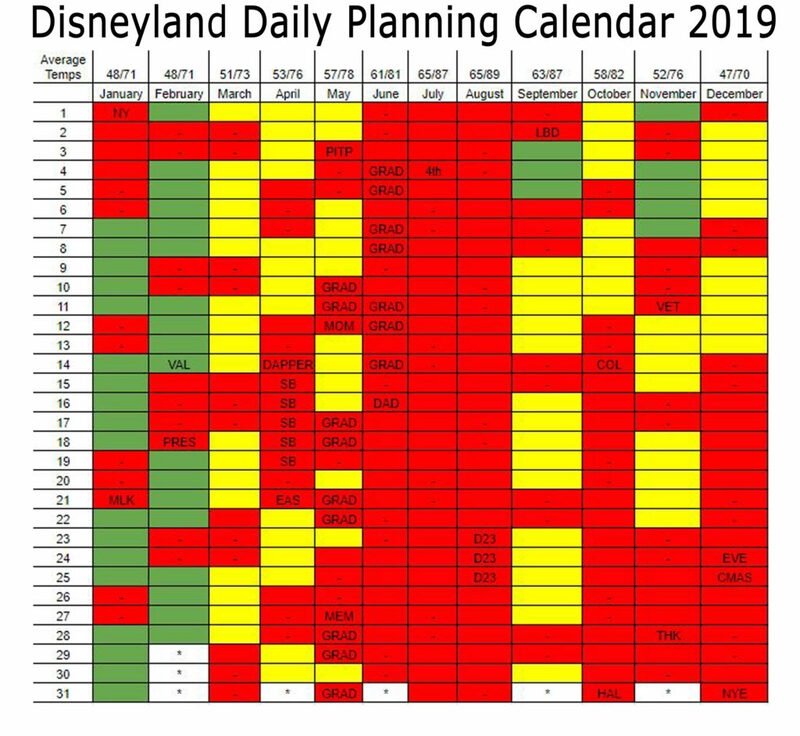 Holidays, California Spring Break (the most frequently scheduled of the SoCal spring breaks), Summer Break, Halloween and Christmas through New Years are most crowded. September and February typically draw the least crowds. These are my favorite! With all of this in mind, please know that the park is truly crowded year round now. “Off season” is really a thing of the past, as Disney implemented tiered pricing to balance out crowds. And, it’s working. Rather than banking on going during a “slow” time, I encourage you to do your research so that you can enjoy your visit, regardless of the crowds. 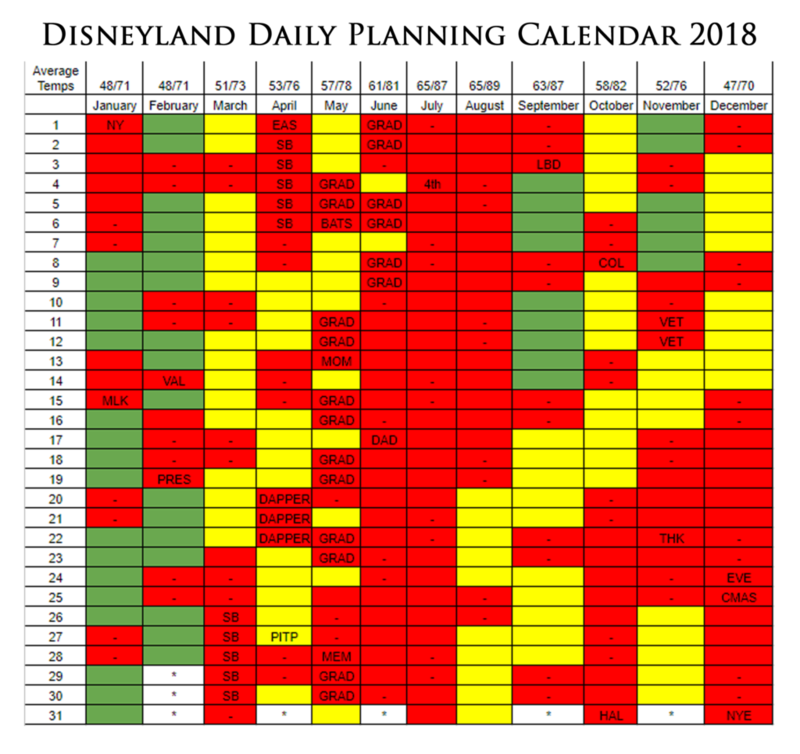 Start with this post for a basic overview of the parks with many links that will educate you on so many important parts of planning a Disneyland trip. Having some essential tools in place will make your visit a successful one, regardless of the crowds you encounter. Use this post to know how to start each day at each park, regardless of which days you visit. These strategies will help you get on every attraction in 20 minutes or less. It’s entirely possible! First, if you see a “-“, that means it’s a weekend day. First, if you see a “-“, that means it’s a weekend day. 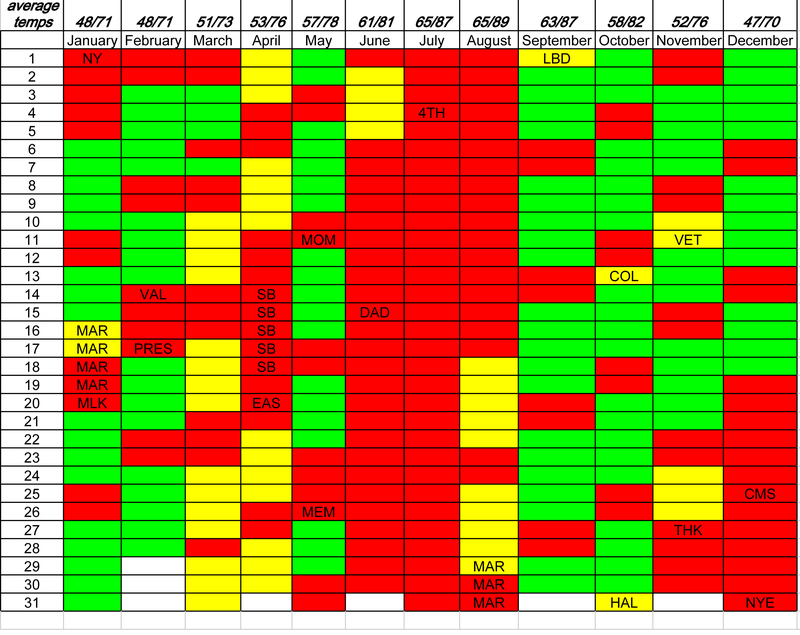 I haven’t done this for previous calendars, but I think it helps know better how each month plays out. Now, to Step 2 – Choose Where to Stay!